Today I woke up sick. I'm not sure if it's a cold or just really bed allergies but I'm definitely not my usual self right now. Looks like I will be spending my weekend in bed. 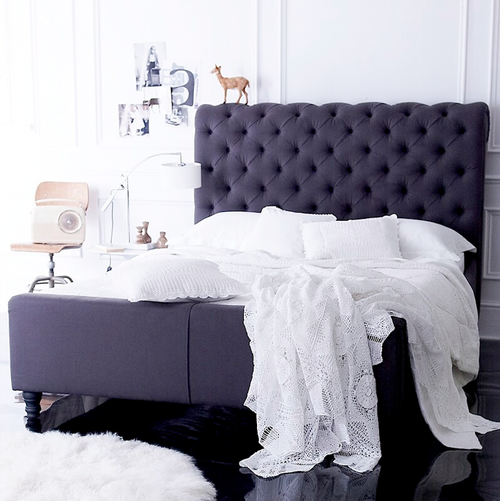 By the way, I am planing to buy a new bed this summer and I REALLY want to find a headboard like this! Isn't it adorable?? If anyone knows of anywhere with something similar let me know.